Ducati's chief test rider Alessandro Valia set the new record, the fastest around the Buddh International Circuit on any stock OEM bike. Ducati's chief test rider, Alessandro Valia, has set a new track record at the Buddh International Circuit during the first edition of the Ducati Riding Experience (DRE-Track Days) in India. Alessandro Valia set the new record at the BIC riding a Ducati Panigale V4S in stock form, breaking the earlier record by almost two seconds. Valia completed the lap in 1.56316" at the circuit on Sunday, the fastest by any stock OEM bike at the circuit, where more than 130 Ducatisti and non-Ducati owners participated in the first DRE Track Days event on October 13-14. "It has been a thrilling experience for me to ride on such a beautiful yet technical track in India wherein I was able to set a new record for young riders. I believe that riding on track requires specific techniques and skill-sets DRE Track Days gives riders the perfect opportunity to learn and tame the track. I would love to see one of the young India riders braking this record very soon," said Alessandro Valia. The DRE Track Days was spearheaded by Alessandro Valia, along with DRE Instructor Carlos Bulto Serrano, who helped Indian riders hone their riding techniques and have better control while riding on the track. 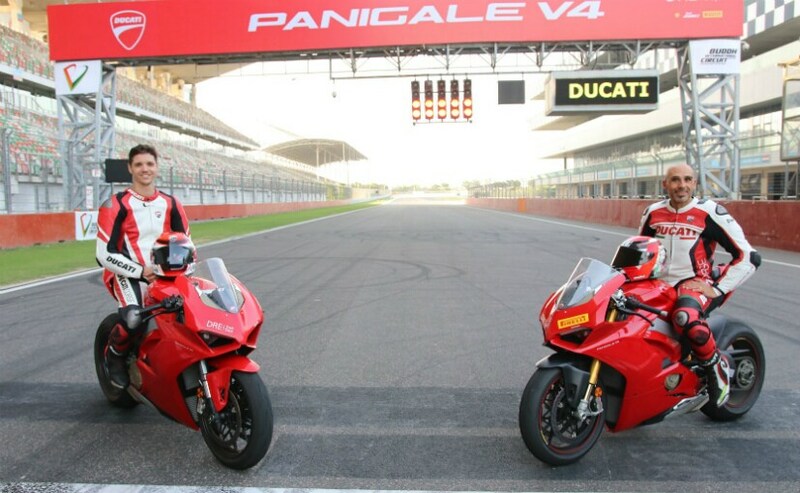 Participants at the first edition of the DRE Track Days event got to experience the performance of the Ducati Panigale V4, 959 Panigale, and the SuperSport, among others. "The two-day event witnessed the thrill, passion and love for racing on our first ever Track Days in the country. It was first of its kind platform where enthusiasts got to learn and enhance their riding skills with renowned Ducati rider Alessandro Valia. With the growing interest of evolving Indian riders, we will have more such high-octane events for everyone to truly experience the power of Ducati," said Sergi Canovas, Managing Director, Ducati India. 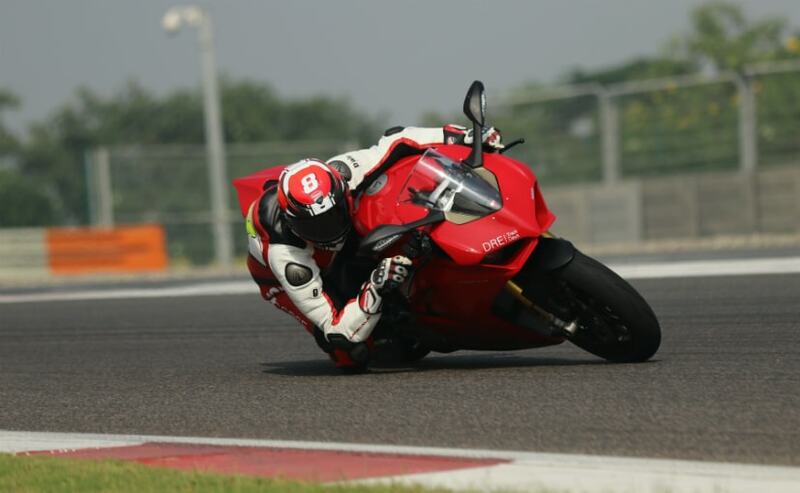 The DRE Track Days is a Ducati Riding Experience and training session on the racetrack, for Ducati and non-Ducati owners. Ducati partnered with Pirelli and Shell for its first-ever DRE-Track Days in India.